The Englishman’s 43-ball 89 was studded with eight fours and seven sixes as Rajasthan Royals registered only their second win of the competition. Jos Buttler laid the platform with a rampaging 89 while Shreyas Gopal held his nerve at the death to power Rajasthan Royals to a four-wicket victory over Mumbai Indians in the Indian Premier League at Mumbai on Saturday. This was Royals’ second win of the season in seven games after losing a last-ball thriller to Chennai Super Kings on Thursday. 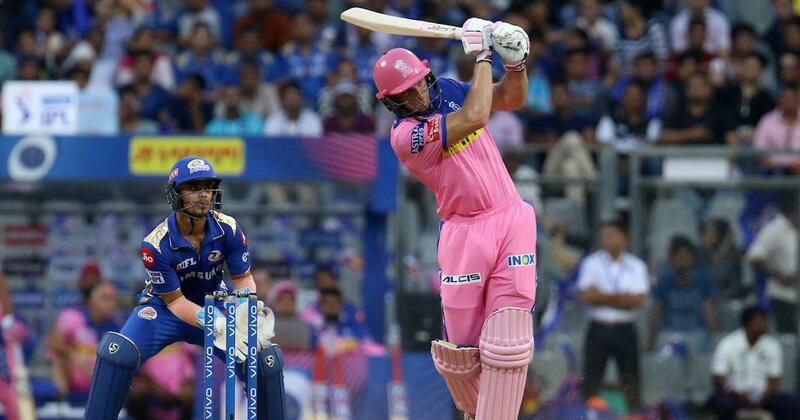 Put into bat, Mumbai Indians rode on an aggressive 81 by South African Quinton De Kock to register an imposing 187/5, but Buttler’s 43-ball knock studded with eight fours and seven sixes set the tone before Royals survived a scare to finish the game in 19.3 overs. The match was a forgettable one for young West Indies pacer Alzarri Joseph (0/53 in 3 overs), who was hammered for eight fours and three sixes. He was also injured trying to save a boundary. 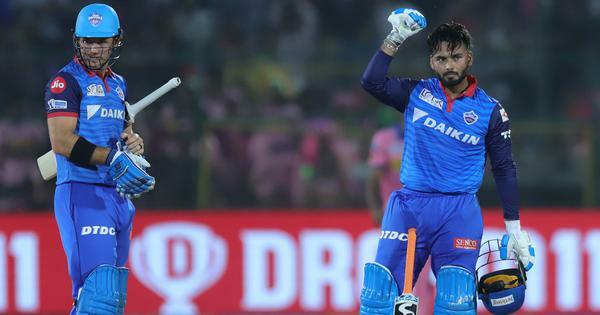 Buttler first conjured a 60-run opening stand with skipper Ajinkya Rahane (37 off 21 balls), which took Rajasthan off to a bright start, and then added 87 runs for the second wicket with Sanju Samson (31 off 26 balls). Buttler initially played second fiddle to Rahane but upped the ante once the skipper departed. The Englishman, in the eighth over, hit Rahul Chahar for a six, and in the next over, smashed two sixes off Krunal Pandya as he raced to 50 off 29 balls. When Buttler departed in the 14th over, Rajasthan needed 41 runs. There was a twist in the tale when Mumbai sent four batsman – Samson, Rahul Tripathi (1), Steve Smith (12) and Liam Livingstone (1) – back to the pavilion in the space of 15 balls as Rajasthan slumped to 174/6 from 147/2. However, Shreyas Gopal (13*) held his nerve to take the side home in a tense situation. Gopal hit the winning boundary off Hardik Pandya. Earlier, De Kock was at his fluent best to take Mumbai Indians to an imposing 187/5. He hammered six fours and four sixes in his 52-ball knock and got able support from skipper Rohit Sharma (47 off 32 balls), who made a comeback after missing out the last Mumbai game due to a niggle. Rajasthan made a good comeback in the middle overs, removing Surya Kumar Yadav (16) and Kieron Pollard (6) to reduce the hosts to 136/3. They also removed De Kock and Ishan Kishan in quick succession before Hardik Pandya’ cameo. Meanwhile, it was Rohit’s 100th match as captain for Mumbai Indians [including the now defunct Champions League T20 games] and it was the franchise’s 200th match overall.